A Study in Scarlet (1933) is quite an entertaining film although it does not make much use of our hero, Dr. Watson. Watson is played by Warburton Gamble, and Sherlock Holmes by Reginald Owen. Owen had previously played Watson in the 1932 Sherlock Holmes. Owen was also credited as having written dialogue for the movie, which he did with Robert Florey in only a week. The movie has nothing to do with Arthur Conan Doyle’s story by the same name. In fact the only similarity is the title. That doesn’t mean that the movie isn’t quite notable in itself. The story is about a group of seven men who form a tontine. A tontine is a system by which each of the members benefits by the death of the others and where the last surviving member gains the riches of all the others. It’s a winner take all proposition so each member is suspicious of his neighbor. Of course the murders must start and each is foretold by the receipt of a children’s rhyme. Holmes is brought into the case by the widow of one of the members and he assures her he will bring the criminal to justice. She, of course, isn’t interested in justice, just the money. 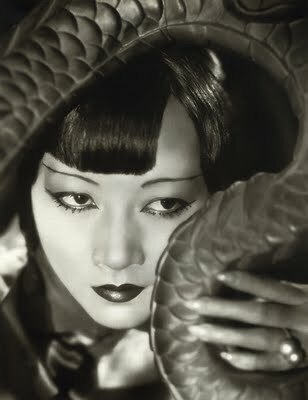 Anna May Wong is part of the evil forces. The overall film is well written, well paced and an excellent portrayal of Holmes as a human being. But as I said, there is little of Watson other than tagging along behind Holmes and asking a question here and there. In fact Warburton Gamble’s portrayal portends Nigel Bruce. Gamble may have done very well if he had been given some dialogue here and there. The rest of the cast is like a who’s who of B movies with features you will recognize from 1930’s Charlie Chan and Mr. Moto mysteries. Alan Dinehart plays the evil lawyer (I know- is there any other kind) and I can’t remember ever watching a movie with him where he wasn’t the bad guy. Inspector Lestarde is played by Alan Mowbray who should also be very familiar to buffs of 30’s-40’s mystery movies. This same basic plot will appear again in Sherlock Holmes and the House of Fear with Basil Rathbone and Nigel Bruce where, once again, seven members form a tontine and they mysteriously die off one at a time. The three changes here are that the murders are foretold by orange pips, Holmes is brought in by an insurance company, and Nigel Bruce has a bigger part than Warburton Gamble ever had. The plot arises again in Agatha Christie’s 1939 novel “Ten Little Indians” except for the tontine. In it 10 people are gathered together and murdered one at a time, each to the design of the nursery rhyme. In fact, the person who calls them together is a Mr. Owen. Hmmm. Owen does do a quite good Holmes but most people will be put off by the 1930’s locations and the lack of visual similarity between Owens and the Paget drawings. Worst of all is the address of Holmes and Watson – 221A Baker Street!!!!!!!!!!!!!!! How the heck do you get that wrong?? Ah, well. If Holmes can wear a fedora, I guess he can move down stairs. Really, this movie is worth the watch. Warburton Gamble was born in London, 16 December 1882 and died in London on 27 August 1945. He is another Watson on which there is little biographical information. He was acting on the stage in a professional capacity as early as 1905 in a play called Love and the Man. He continued on the stage in an almost unbroken string of plays from then until 1931 and I can find no service record for WWI. He also started in the movies in 1917 in a film called The Unforseen and is credited in a total of 27 movies up to 1940. Like many other British Actors of his day he spent a good deal of time in Hollywood. He was a passable Watson.